– We are a literature night: poetry or prose. – You don’t need to send us your work. 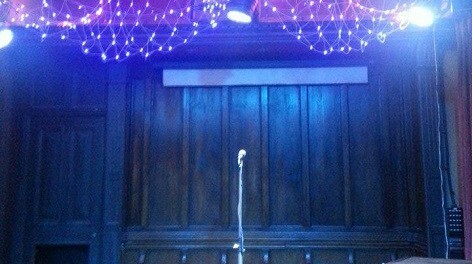 Just email for a slot (openmic@badlanguagemcr.com). – If you email *before* the 10th, you’re too early. – Come along. Delight us. Be the best you can be. – There are ten open mic spaces available. – Five of those spaces are reserved for people who have never performed with us before. – Open mic spots are four minutes long. The time limit is self-policing. Don’t abuse it. – No-one can perform for more than two events in a row. – We have a reserve list, and often reserve listees do end up getting a spot. – If you blow our socks off, we might book you for other, larger events elsewhere. We’re posting this a day late because Fats is typing this from the Edinburgh Fringe. He’ll all be lah-de-dah annoying when he gets back home to Bad Language-land. Feel free to heckle him.